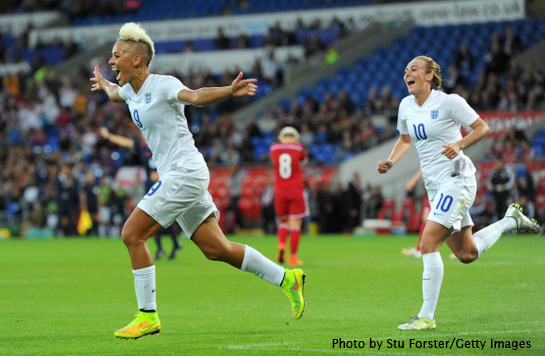 Women’s World Football Show welcomes England striker Lianne Sanderson! As one of the more charismatic footballers in the women’s game, Lianne shows us why she is a fan favorite on multiple continents. 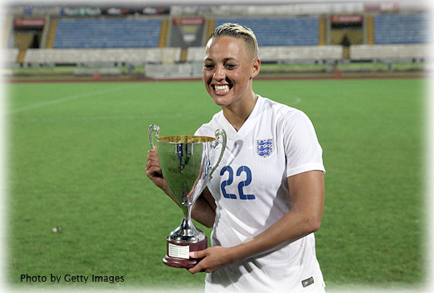 The 2015 Women’s World Cup bronze medalist takes us on a journey from her youth growing up in Watford, England to becoming one of the most recognizable players in the game today. Through hard work, determination and the love and support of her family, friends and fans, Lianne has shown that anything is possible if you surround yourself with good people and most of all, believe in yourself above all others. As the latest member of Portland Thorns FC in the NWSL, the fiery striker tells us why she’s excited to be playing for the most popular team in the league and why she feels at her best with the rose on her chest. True to her spirit, Lianne is open, honest and genuine, revealing why she continues to be a positive role model in sport and in life. For anyone who has ever been singled out for being different or been unfairly treated, Lianne has been there and gives us honest insight on how she overcame adversity and achieved success at the highest level. There’s a lot of bad blood brewing between The Matildas and the Football Federation Australia and Cheryl Downes from The Women’s Game is here to sort it all out for us. Just what are the Aussie’s striking for and is there a resolution in sight? We’ll find out. 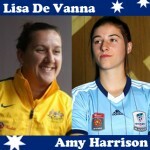 Also, the W-League is gearing up for another exciting season. Join us for Part 1 of a 2-Part preview of the upcoming season. To kick off the series, Patty and Cheryl discuss Adelaide United, Brisbane Roar, Canberra United, & the new team Melbourne City FC. 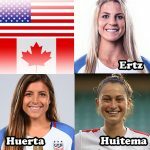 As we head into the 2015 NWSL postseason, Patty and Adam dissect the playoff race with in-depth analysis of Seattle Reign FC vs. Washington Spirit and FC Kansas City vs. Chicago Red Stars. Who were the heroes and who were the zeros? 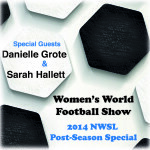 We’ll give you the scoop and also a peek into the upcoming NWSL Finals. Adam is back at it with a look at the NCAA women’s college Top 10 rankings. Also, AJ “Postgame Gator” Johnson is back with another awesome interview. This week, we welcome University of Tennessee midfielder Carlyn Baldwin. Don’t miss this AJ classic! 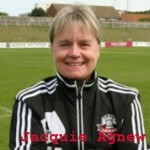 FAWSL and FA Cup updates, Bundesliga recaps, and the USA vs. Haiti debacle. And just how many proper English words can American’s screw spice up? Quite a few apparently. All this & More!! Fade Out Music by Taylor Swift.